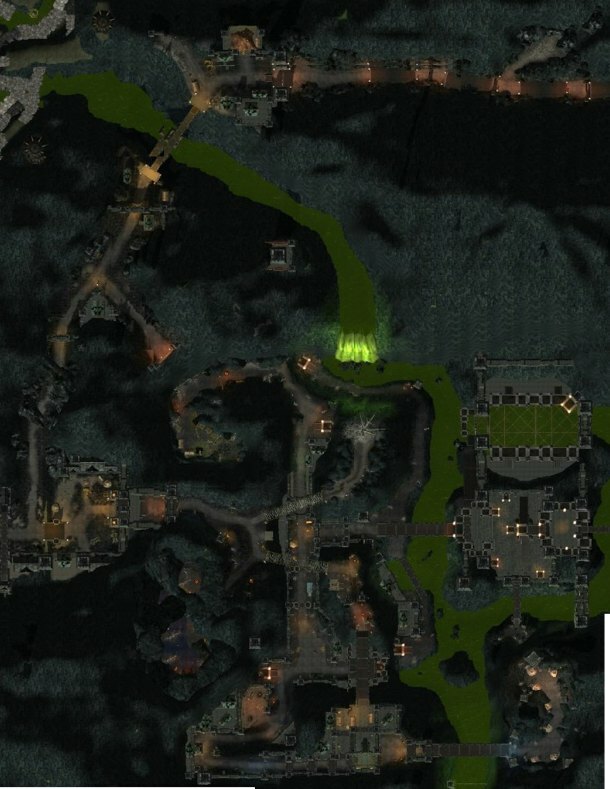 Here you will find a few LOTRO maps to help you find your way through Urugarth. This instance is pretty straight forward, but you can get a little lost on your first go at it. Hopefully these maps will help! The maps on this page show all of the bosses and their locations as well as how to get to Urugarth from Tarmunn Sursa. Here is a full map of the Urugarth area. Tarmunn Sursa is up at the top just before the bridge. More details are on the maps that follow! This is the path to the Urugarth instance entrance. From Tarmunn Sursa it's pretty much a short run south. Jump off the cliff to the left when you're close to avoid fighting the troll gatekeeper! 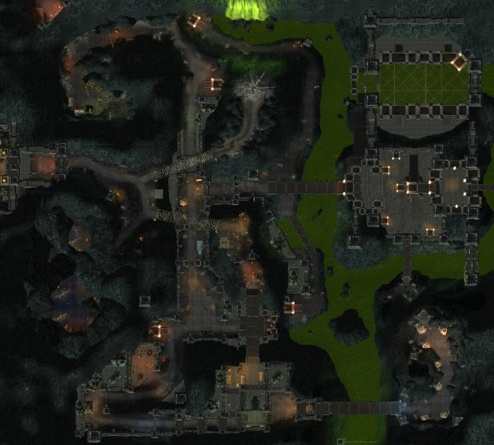 This is just a clean map of Urugarth. The next map shows all of the bosses and paths to take. Here are all of the Bosses in Urugarth. The red path and circles take you to the upper level bosses. The yellow paths and circles are for the lower level bosses. Hopefully these maps make you a bit more comfortable fighting through this instance... See you over in the instances of The Lord of the Rings online!